Robotics;Notes character joins the fray. Phantom Breaker: Battle Grounds will add Frau Koujiro from Robotics;Notes as a playable character via a downloadable add-on for 300 yen on November 18 in Japan, publisher 5pb. announced. The “Frau Koujiro Add-On Pack” will be available for the PlayStation 4, PS Vita, and PC versions of the game on November 18, with the two PlayStation versions being cross-buy compatible. The Xbox 360 version will also get the add-on before the end of 2016. In addition to the Frau Koujiro Additional Pack, a “BGM Add-On Pack” will also be released on November 18 for 300 yen across all platforms—except, again, for Xbox 360, which will get it before the end of 2016. Currently, the PS Vita, Xbox 360, and PC versions use Programmable Sound Generator sound source background music, while the PlayStation 4 version uses Frequency Modulation sound source background music, but with this downloadable content, you’ll be able to switch between sound sources across all versions. 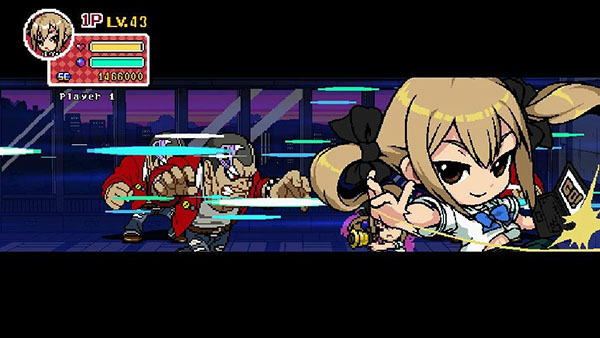 Phantom Breaker: Battlegrounds on Xbox 360, PlayStation Vita, and Steam, and Phantom Breaker: Battlegrounds Overdrive on PlayStation 4 will be receiving 2 new DLC worldwide. The popular character Frau Koujiro, from visual novel Robotics;Notes will become a playable character in Arcade Mode, Coop Mode, and Versus Mode with this DLC. Release Date: 11/18/2016, Price: 600 JPY (plus tax). *PS4 and PS Vita version will support Cross Buy. This DLC lets you swap to FM synth BGM on PS Vita and Steam, or PSG synth BGM on PS4. Release Date: 11/18/2016, Price: 300 JPY (plus tax). *PS4 and PS Vita version support Cross Buy. Note: The Xbox 360 version of the Frau Koujiro Pack and Additional BGM Pack will be released at a later date.